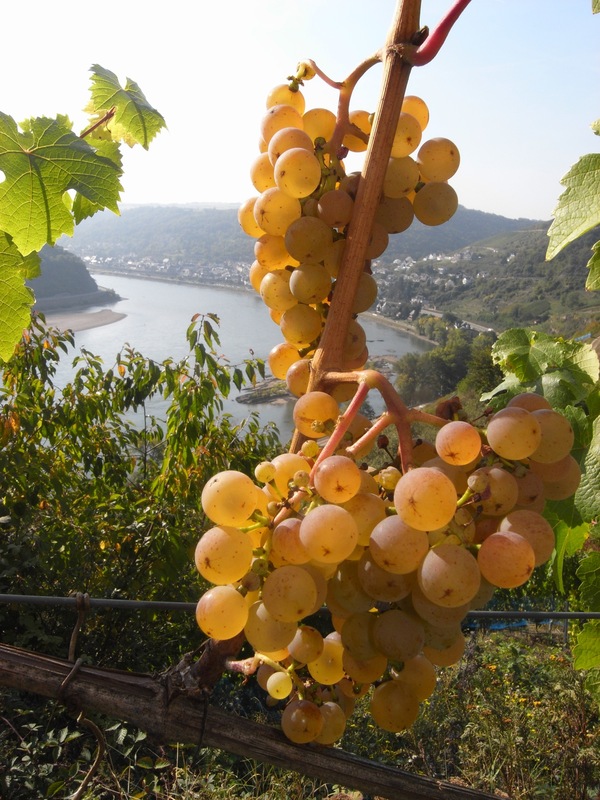 For over 200 years our family has practiced viniculture in the valley of the Loreley. 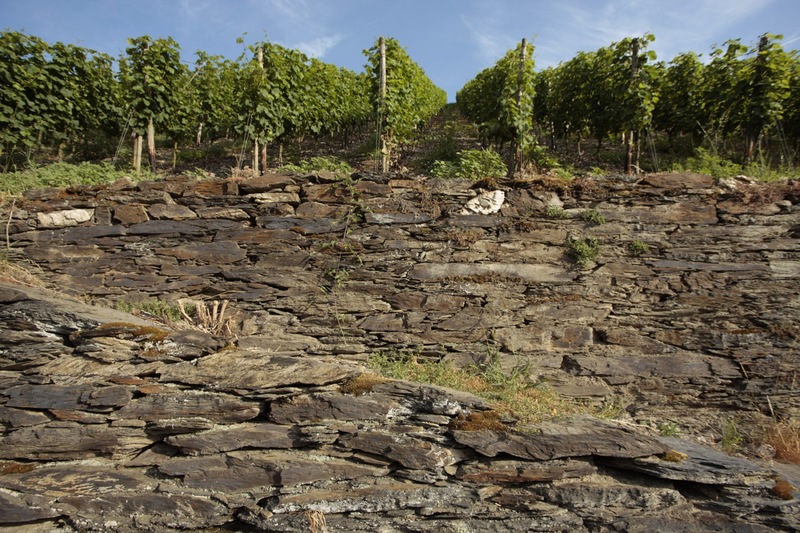 Our farm manages 3.5 hectares on steep slate slopes in the Middle Rhine Valley. 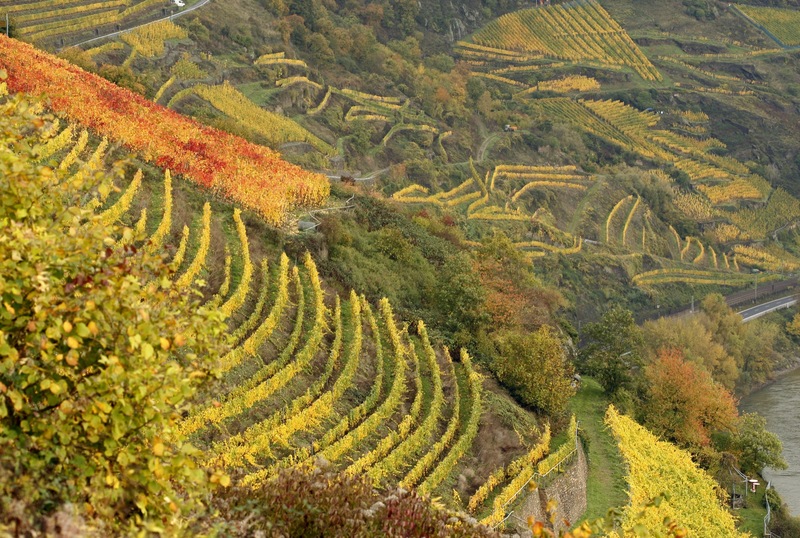 Our goal is to produce high quality grapes in close harmony with the nature and the landscape – and to preserve our unique cultural landscape in this Unesco World Heritage area. 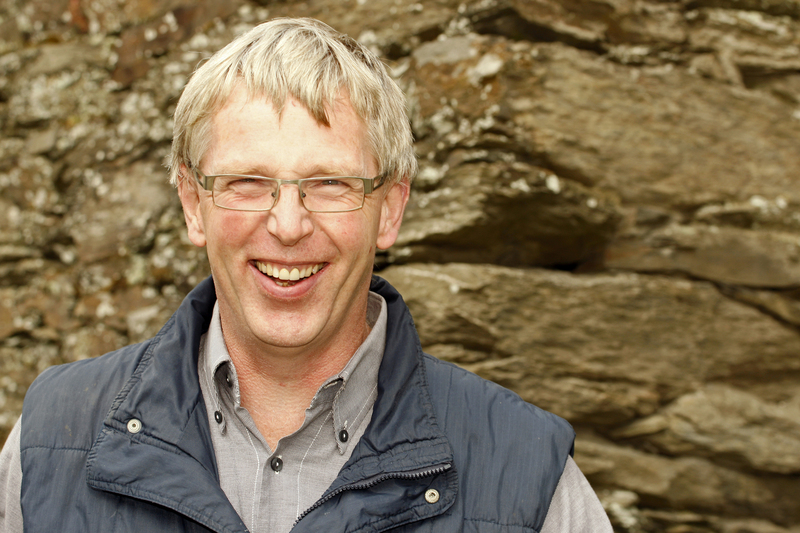 Our ambition is to bring the best possible quality from the produced grapes into the bottle and onto your table. 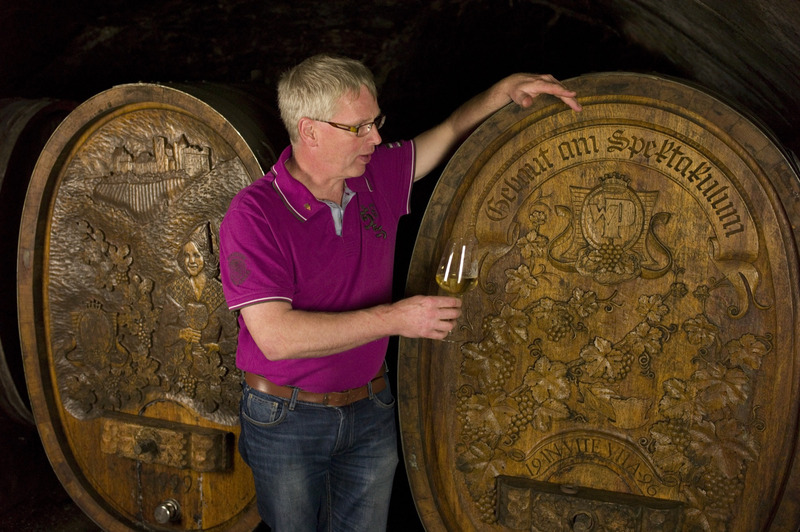 A tradition of loyalty and in-depth knowledge combined with modern cellar technology guarantees good quality and delicious wines. 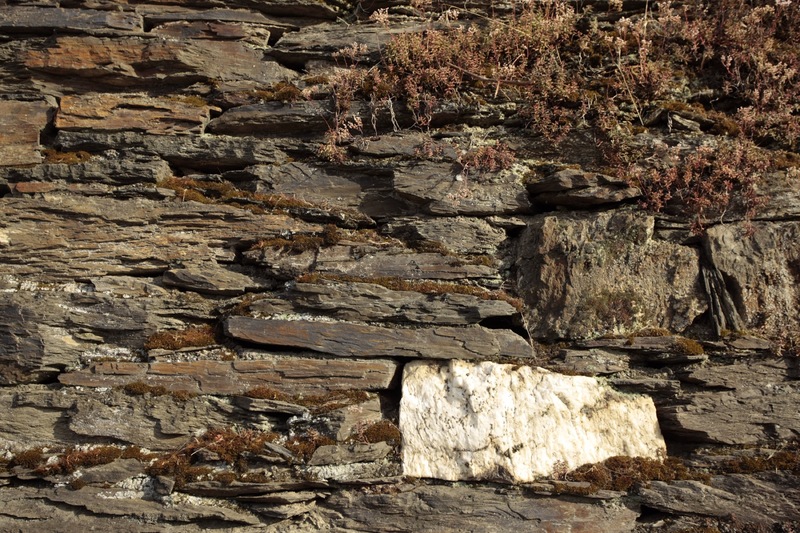 The character of our wines is marked by the mineral-rich slate soils. 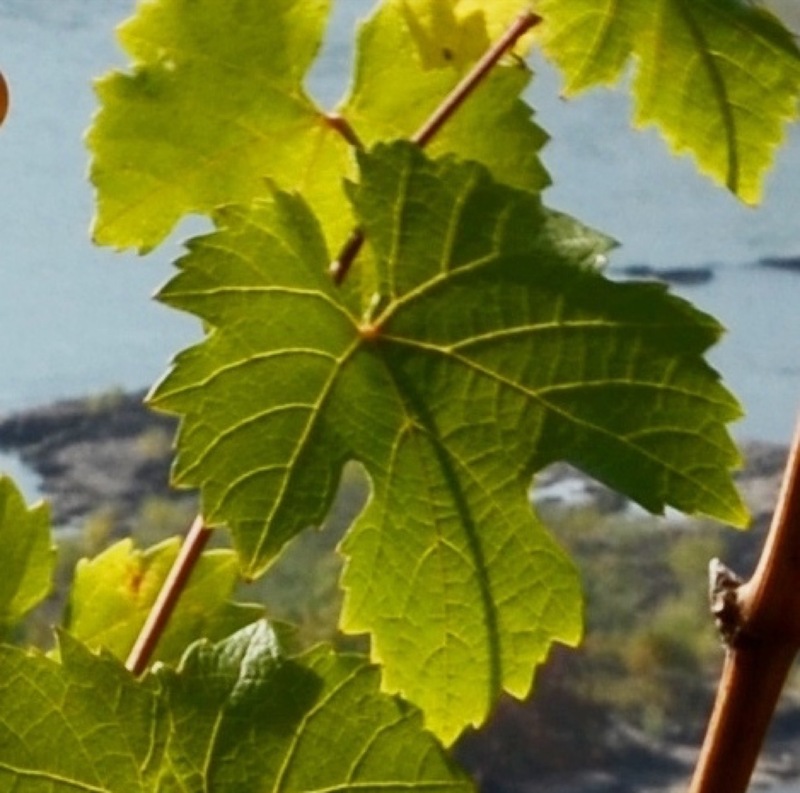 They are elegant, complex wines with a pronounced fruitiness and many nuances in flavour and bouquet. 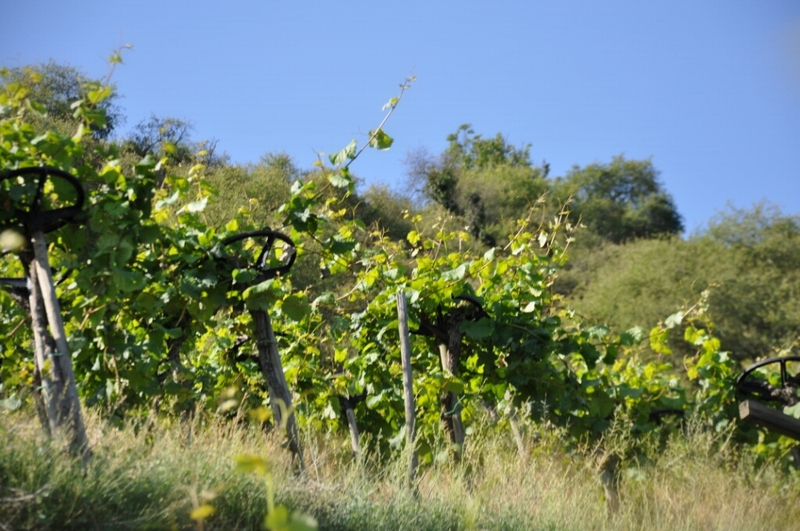 The main white wine grapes are Riesling, Pinot Grigio and Schönburger. 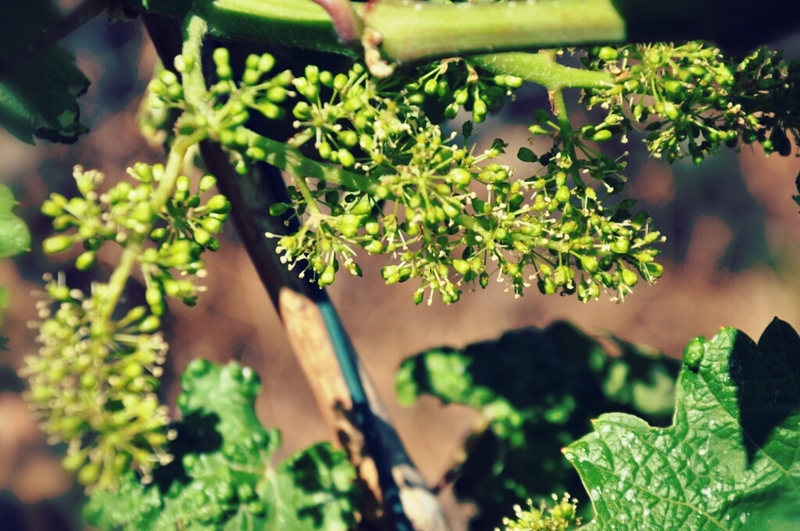 The wines embody a perfect interplay of fine, but firm, acidity with natural sweetness. 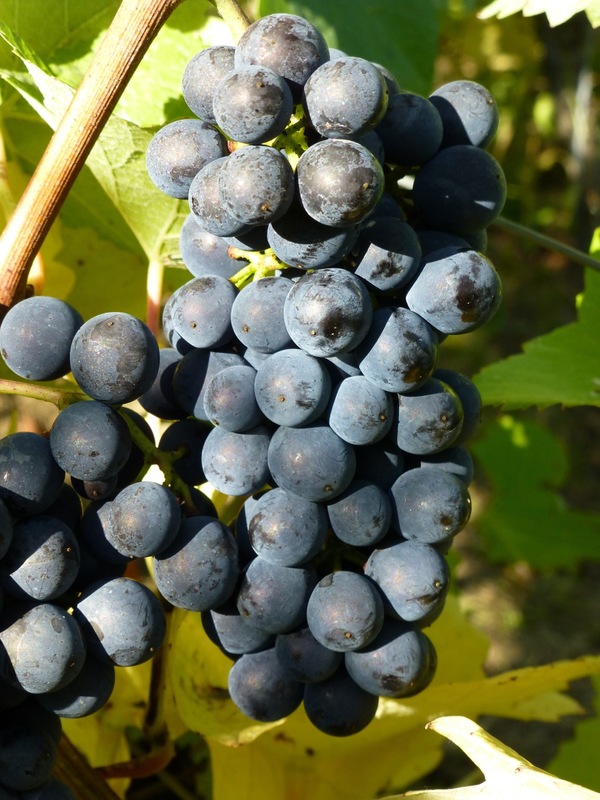 We cultivate the red wine grapes „Dornfelder“ and the ruby red Spätburgunder (red Pinot Noir). 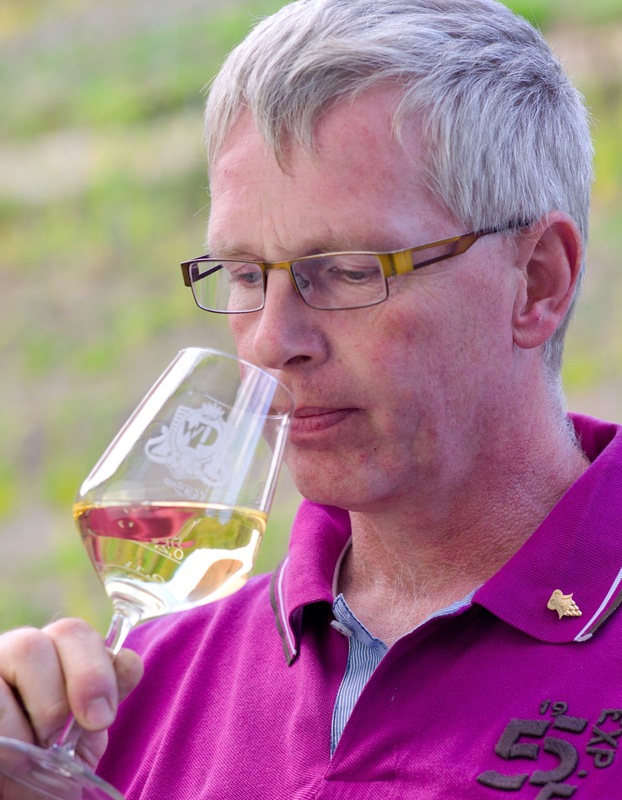 We seek to offer the right wine for any occasion, therefore, our range exceeds from quality wine to the noble sweet ice wine – our specialty. 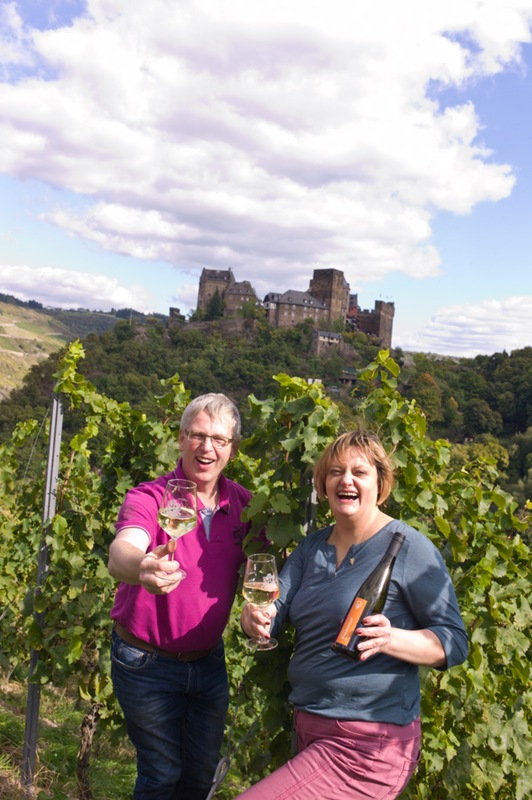 The range is complemented by the tangy elegant Riesling sparkling wine and our red sparkling wine. As the newest addition to our product range we present: Chocolates and truffles made with our wine and liqueurs. 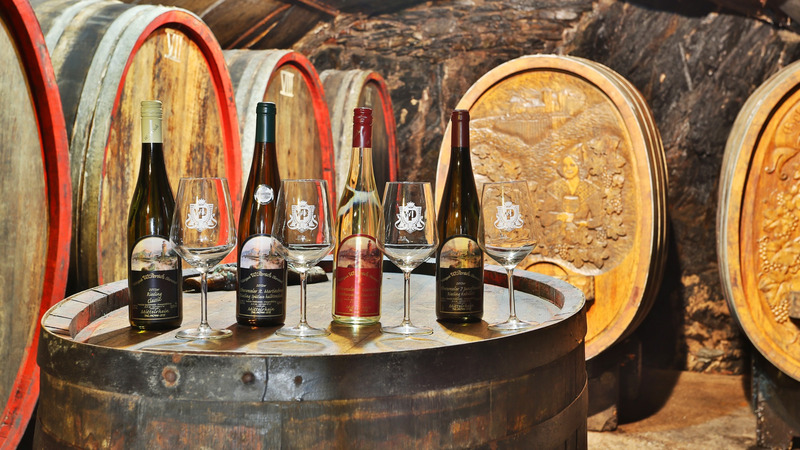 To experience our wines we offer wine tasting in our vaulted cellar. For groups and club outings, we ask for advance notification. Our subterranean cellar is for groups up to a maximum of 30 people. Larger groups can be accommodated in the winery tavern. 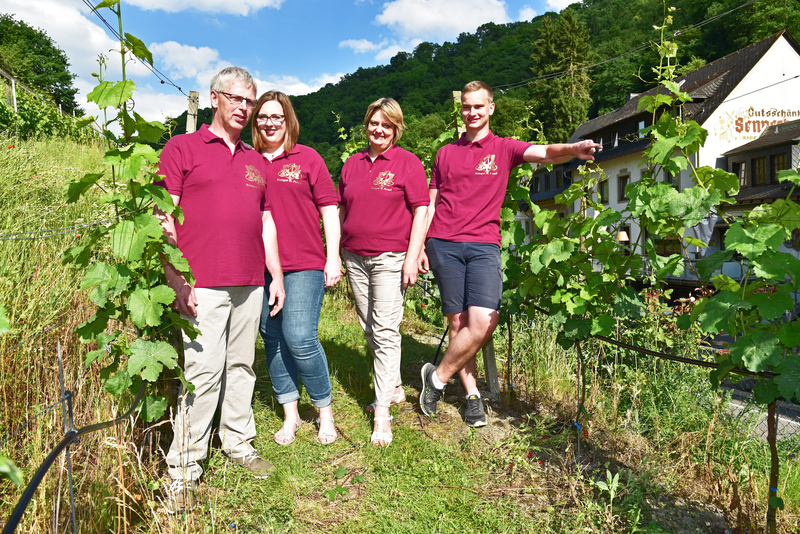 You can also start with a vineyard tour and enjoy wine tasting along with a picnic in the vineyards overlooking the castle Schönburg. 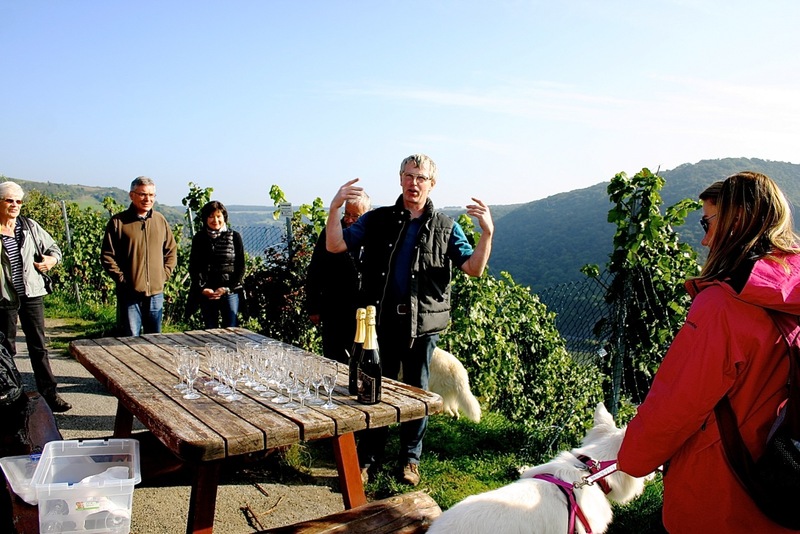 We would love to show you our estate as well as our small wine museum with old wine equipment.